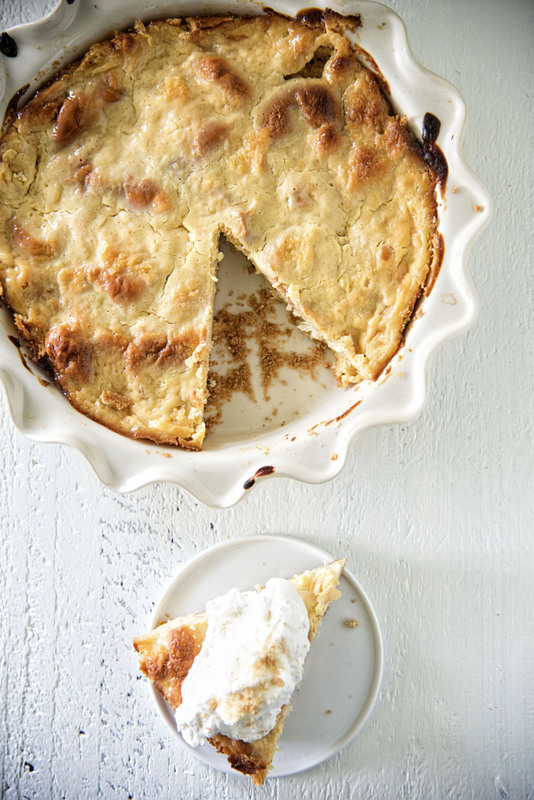 Key Lime Pie Bread Pudding: Two desserts in one. Torn soft milk rolls topped with key lime pie custard filling, baked, and topped with graham cracker whipped cream. My blog birthday and my real birthday are only a couple of weeks apart and so it is often a time of reflection of all that has happened in the last year and for this blog the last 13 years. Blogging has changed so very much in those 13 years. It used to be the place where we rambled on about whatever we wanted and people read that and commented. When I first started I was cutting edge in the fact that my food blog had photos. Up to that point a lot of them were just recipes with no photos, just like cookbooks used to be. Now, not only do blog have photos but bloggers are supposed to become professional level photographers. They take step by step photos of everything from cracking an egg to dumping flour in a bowl. We need to be videographers. And video editors. I haven’t gotten into video. All the trends show it’s going that way but reality is not only does it not interest me as a blogger it doesn’t interest me as a person. Whenever I see video on my FB feed I just move on. I don’t need to see a person dumping ingredients into a bowl and awkwardly talking about the recipe. Now some bloggers were made to be in front of the camera. Amanda of I Am Baker is a great example. When she does tutorials on how to frost cakes I find that very helpful and she is very comfortable in front of the camera. Video on how to braid and shape bread is also helpful. I definitely see where video is better than photos in certain cases. The image you want to put forth. No one ever likes my response. The image I want to put forth is that here is food that I made…enjoy. It’s self promotion, which is am not big on. I like to just concentrate what I am good at. Which is making unique recipes. Today’s recipe is a prime example. Whenever I go out to eat I always look to see if the restaurant has bread pudding or key lime pie. Two of my favorites. So I thought why not Key Lime Pie Bread Pudding? I Googled to see if it existed. It did not. If you are like me and enjoy both bread pudding and key lime pie then you are going to love this recipe. I thought about adding a raspberry or strawberry sauce and honestly the next time I make it I might. And yes, there will be a next time. This was a keeper. A it’s not going to husband’s work keeper. 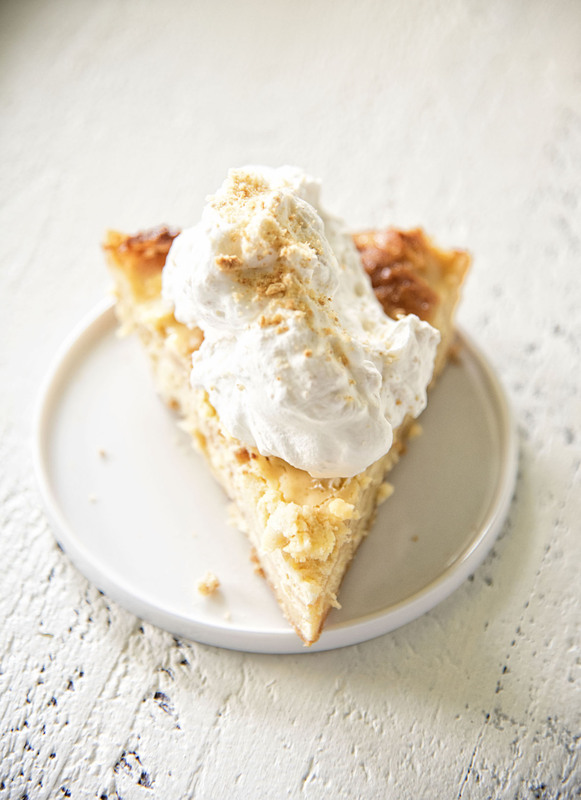 Definitely make sure to add the graham cracker crumbs to the whipped cream…it really does add something special to the dessert. I may still be doing the same boring things in another 13 years but I will still always be trying to come up with yummy recipes that work. 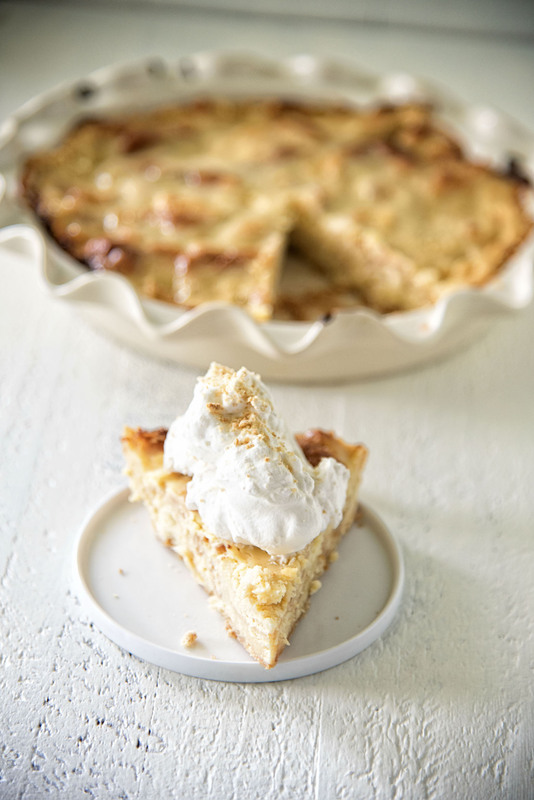 Spread soft butter on the bottom and sides of a 9-inch pie pan. Sprinkle graham cracker crumbs over the butter and move the crumbs around until they coat the sides and bottom of pie pan. Tear 1/2 of the rolls into pieces and place into the pie pan. Mix the egg yolks, sweetened condensed milk, key lime juice, and salt together in a bowl. Then whisk in the half and half and whisk until fully incorporated. Don’t feel like you have to use all the custard. How much bread will soak up varies. Bake the bread pudding for 40-45 minutes at 350F until golden on top. Cover and place in fridge for at least 4 hours. Using a stand mixer with the whisk attachment, beat the whipping cream until soft peaks form. Fold in the graham cracker crumbs. When bread pudding is chilled serve on top of the dessert. I’ve followed your blog for several years. I’m not sure exactly how many years … but I know it was prior to your wedding to your husband. I think I found it when I was searching for cupcake recipes. Anyway, I just have to tell you I LOVE your blog! Your no-nonsense approach to just about everything is incredibly refreshing and so inspiring. I also love all your musings. I find myself looking forward more to your chatting at the beginning of the post than the recipe itself (although they always look amazing!). Your thoughts and posts over the years on body acceptance have really made me stop and think. I used to do Weight Watchers back in the day and had some really great success. I lost 50 lbs, which was amazing! (I’ve since gained it all back…um, yeah.) But I look back at that time and all I remember is what a failure I felt like because I never got to goal. I got within 14 lbs, but never hit that “magic” number. I was so focused on that one number that anything greater than that one was a complete failure. Didn’t matter that I had lost 50 lbs! I look back now and realize how twisted that thinking was, and it was one of your body acceptance posts that made me stop and think about it. I’m certainly not perfect in that area, but I am more cognizant of it. That went deep fast … anyway … Happy Birthday and Happy Anniversary! I love reading whatever it is you want to write about. I love, love, love that one of my post made you stop and think. It’s crazy isn’t it. That we can’t celebrate the loss of 50 pounds because we didn’t lose just 14 more. When I was a leader I tried so hard to remind people that on the way down you were so excited to see 175 pounds. That it made you so happy. But on the way up if you gain some back the number is dreadful and evil and can literally ruin your day, week, month…etc. Weight is so arbitrary. Because my husband and I work out all the time I am a small size now at the weight I am than before. I really haven’t lost much weight but my body has shifted greatly. Happy Birthday to you and your blog! This recipe looks amazing- especially since it combines two of my favorites as well. Bread pudding qualifies as a breakfast food, right? Happy Birthday Peabody! I love all your unique recipes that you come up with! That’s why I starting reading your blog along time ago. It’s a fun blog! I love this idea and I love that your blog has stayed honest and simple all these years. I’ve been following for a long time, and I love that you still talk honestly about real life stuff. Keep it up.